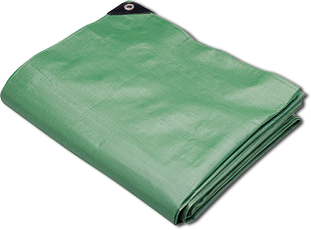 The ultimate Super Heavy Duty Tarpaulin, green on one side and black on the other. Sturdy plastic corner bars. Extra strength. Available in silver and black. Rust proof grommets every 18"